Viknesh Vijayenthiran January 11, 2017 Comment Now! 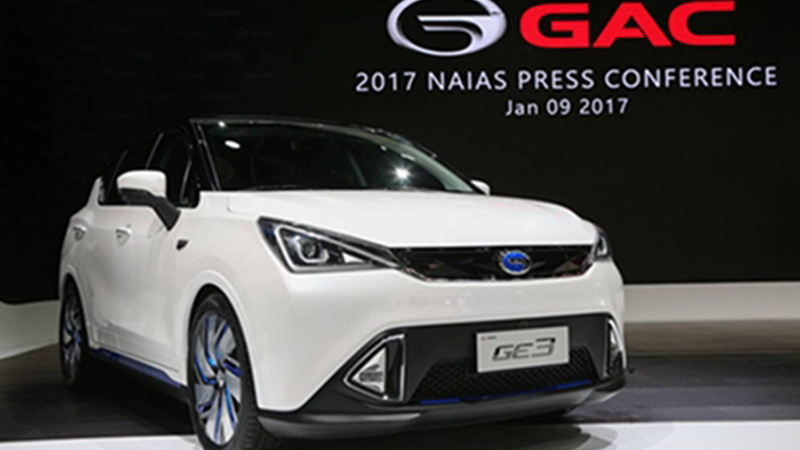 State-owned Chinese automaker GAC unveiled three cars on Monday at the 2017 Detroit auto show, in what was the company’s third appearance at the show. The cars were the GS7 SUV, GE3 electric hatchback and EnSpirit concept. 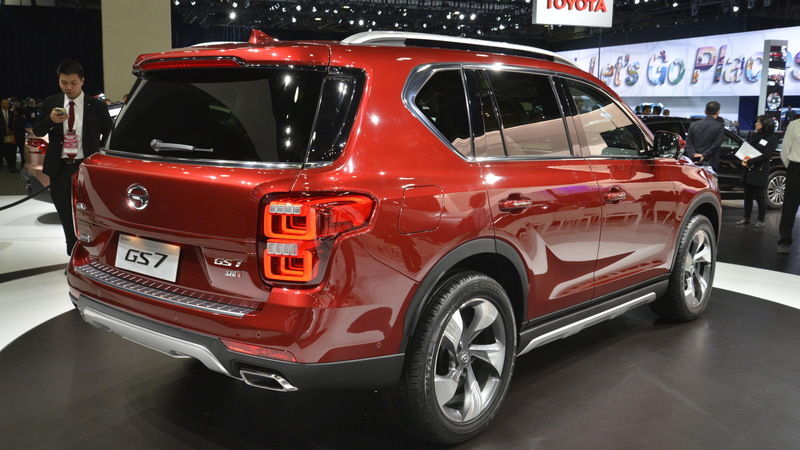 GAC’s first appearance at the Detroit auto show was in 2013, when it presented a trio of vehicles including the GS5 SUV that featured in the movie "Transformers: Age Of Extinction," and in 2015 it presented the GS4 SUV. However, in both years the automaker's stand was only on the sidelines of the show. 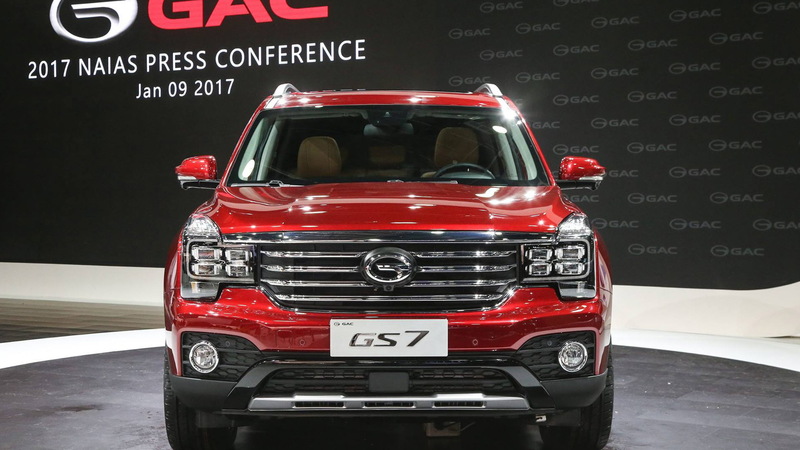 In 2017, it was the first time GAC—or any Chinese automaker for that matter—had a stand on the main floor. 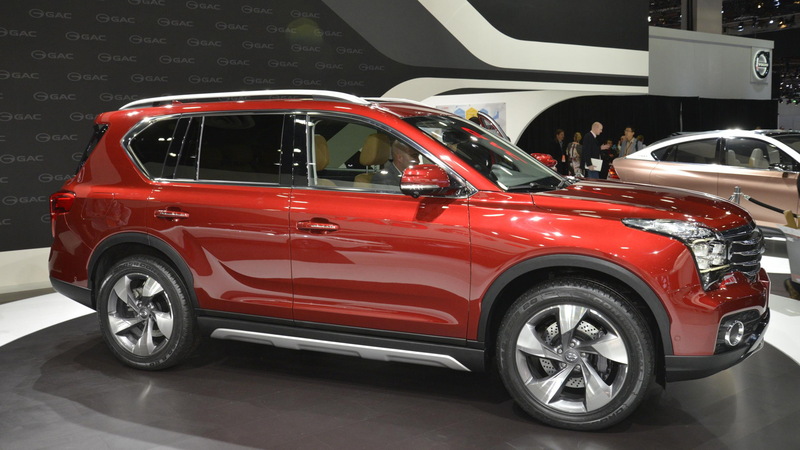 The most promising of GAC’s vehicles on display was the GS7, an SUV similar in size to the BMW X3 and designed to seat five. Under the hood is a turbocharged 2.0-liter inline-4 paired with a 6-speed automatic transmission, both developed in-house. Peak output is a claimed 198 horsepower and 236 pound-feet of torque. 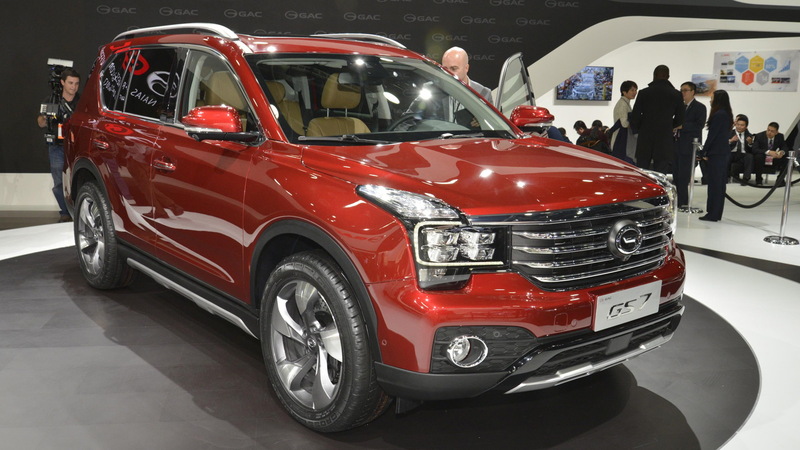 The GS7 will start sales in China next month under the Trumpchi brand, GAC’s main brand for passenger vehicles. GAC also has the brand Gonow which sells both passenger and commercial vehicles. Another promising vehicle was the GE3. It’s GAC’s first car based on a dedicated electric car platform. It’s in the form of a compact hatchback and is said to have a range of a close to 190 miles on a single charge of its lithium-ion battery. Drive comes from a single electric motor that delivers 160 hp and 214 lb-ft of torque. The third vehicle GAC had on its stand was the EnSpirit concept car, a plug-in hybrid SUV with a coupe-like roof profile. The vehicle’s hybrid system combined a 1.5-liter inline-4 running the Atkinson cycle with an electric motor. On electric power alone the vehicle should be able to travel about 50 mi, and with the internal combustion engine kicking in this figure rises to 435 mi. GAC says it’s hopeful of starting sales in the United States in 2018, though the automaker still needs to obtain certification for its vehicles and establish a network of dealerships. GAC already operates in 14 countries and in 2016 registered sales of 370,000 vehicles. More established automakers General Motors Company [NYSE:GM] and Volvo have already started selling Chinese-made cars in the U.S., and it’s only a matter of time until we also Chinese-made cars from Chinese automakers sold here. GAC very well may be the first.